Product #11944 | SKU iM2875-UTILITYORG | 0.0 (no ratings yet) Thanks for your rating! The Pelican Storm Case Utility Organizer is a customizable lightweight lid designed to keep the accessory gear organized and protected inside. The organizer fits perfectly inside the lid of the iM2875 Pelican Storm case. It is covered with a water-resistant, PVC coated, high denier nylon fabric that provides strength and protection from the elements. It has accordion-style folder pockets, zippered pockets, CD/DVD pockets and business card pockets. 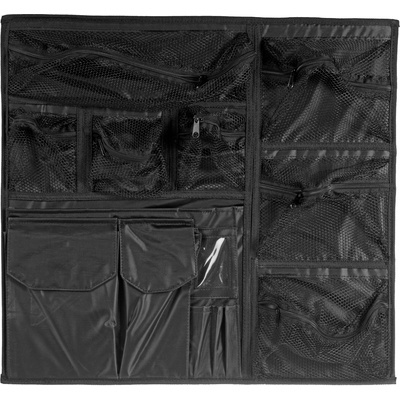 It uses hook and loop touch fastener strips to attach the lid organizer to the case.